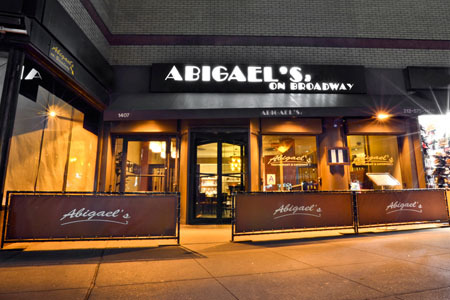 Abigael’s on Broadway is one of New York’s oldest and most prestigious kosher restaurants, emphasizing the global flavors of modern America, while setting a new standard in Kosher cuisine. Abigael’s is a casually elegant two level restaurant that can seat up to 350 guests. With an array of specialties that are surprisingly kosher, such as: American Fare, Latin Comfort Foods, Sushi and Pan Asian. The restaurant has an impressive following that includes not only kosher diners, but many non-Kosher clientele as well. Abigael’s specializes in supplying many of the areas’ finest restaurants, hotels and arenas with supplemental kosher meals. Our off-premise Supplemental Meals Program is one of the most sought after throughout New York City and nation-wide. The Abigael’s Rewards Program was designed with you, our loyal guests, in mind! We want to thank you for your continued support of Abigael’s and award you for your patronage. Our Rewards Program is designed to give something back to you every time you dine with us at Abigael’s. A Reward Point for every dollar spent in our restaurant, which may be redeemed for savings on future meals. Let your server know you’d like to join the Rewards Program the next time you’re enjoying a meal at Abigael’s. This is a free program, so there is absolutely no charge to you! Frequent dining at Abigael’s is now even more rewarding! To thank you for your continued patronage, Abigael’s has created the Customer Rewards Program. Earning rewards is easy, fast and free! Membership is free and you can earn one point for every dollar you spend at Abigael’s or the Green Tea Lounge, (excluding taxes and tips). Simply present your rewards card each time you pay your check. Your points are credited to your account automatically. Start earning points at your next visit! Request a Rewards Card and your very next dining expense will be added to your account. For every 500 points you earn, you’ll receive a $ 25.00 Reward towards your next meal at Abigael’s or The Green Tea Lounge. Redeem your rewards right away, or save your points until you earn even more. Applicants for a Rewards Card must be 18 years or older. By entering your e-mail address (optional), you agree to receive marketing information from The Abigael’s Group. If we already have your e-mail address, it is not necessary to do so again. This information will not be shared or sold to any other group. To earn points, Rewards Members must present their card at time of purchase only. Points may be earned only by the Rewards Members who pays the check. The Rewards Card is not a credit card and is not valid for purchases. The Abigael’s Rewards Card points are not transferable to another member’s account. Corporate Accounts are not eligible for the Abigael’s Rewards Program. Only individuals are eligible. Gift Card purchases to Abigael’s are not eligible for points on the purchaser’s Rewards Card. The Reward points will be issued towards the recipient’s dining purchase. You’ll still be eligible for free meals within our Birthday Card Program. This remains as a separate sign-up form. Rewards Cards can not be used for off premise catered parties, or towards delivery meals. 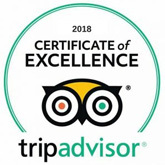 Rewards Cards are only for use while dining at Abigael’s on Broadway or at The Green Tea Lounge, upstairs at Abigael’s. Abigael’s is not responsible for any lost or damaged Rewards Cards. Points cannot be replaced. The Rewards Member is responsible for informing Abigael’s of any address changes. To keep your account active, you must use your card at least every 12 months. If you do not, then your account’s point balance may be brought to zero. Abigael’s reserves the right to change the program, its rules, reward structure and points required for rewards, and to terminate the program at any time without advance notice. In the event this program is discontinued, members will be allowed to redeem the un-expired reward points. We reserve the right to eliminate, add participating restaurants or cancel the Rewards Program at any time. We also reserve the right to refuse rewards or other benefits to any individual who has engaged in deception, forgery or other abuses of the Abigael’s Rewards Program. Duplicate accounts will be de-activated. Rewards will not be earned on sales tax, gratuity, prior purchases, online store purchases or the purchasing of gift cards. Abigael’s employees are not eligible for the Customer Rewards Program. Kinney System, 150 West 38th Street at 7th Ave. Parking stub must be validated while dining at Abigael’s. Meal receipts will not suffice as validation. Larger vehicles start at $25, if space allows.